I’ve known Jake Carr almost my whole life. We went to high school together, lived together for a while in Chicago and share a passion for the outdoors. Exactly two years ago Jake set off on an adventure that’s been on my bucket list for more than a decade: through hike the Appalachian Trail. He set out March 24, 2017 on a 2,190 mile journey from Georgia to Maine. He now lives in Alaska where he’s a guide in the summer and has been house sitting this winter. I can think of no more perfect way to end Season 1 of Saturn Returns than with this interview. I’m off to Spain to hike my own long hike. 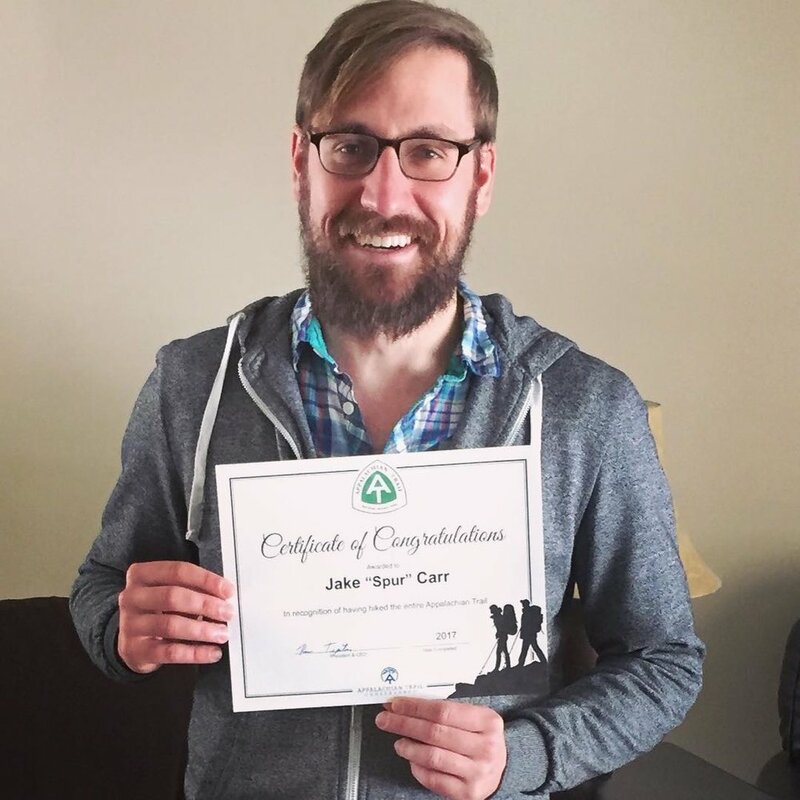 It’s official: Jake is part of the 2017 class of AT through hikers. Jake is a tour guide in Alaska. He he poses with a pair of moose antlers.